Richard Gregory Carrion, age 71, of Sacramento, CA passed away on Wednesday, October 3, 2018. 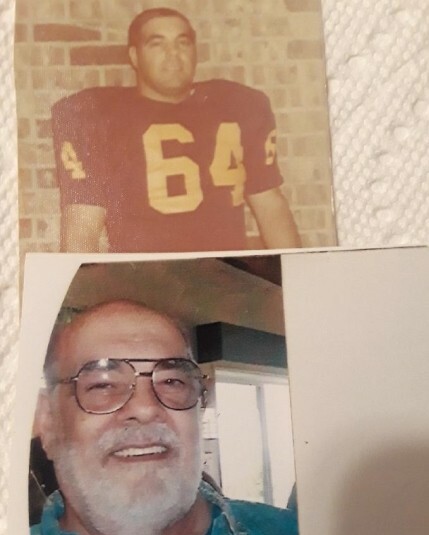 Richard grew up in Arbuckle, CA where he excelled as a gifted football player for the Pierce High School “Bears” being selected as All League player 1964-1965. He went on to play semi-pro for Statesmen team of 1973. Richard proudly served in the U.S. Army and was a Vietnam Veteran (1968-1969). Richard retired from Civil Service (McClellan AFB) in 2009. Richard loved sports and was an avid fan of the San Francisco 49ers and San Francisco Giants. Richard enjoyed being around family and friends. Richard is preceded in death by his parents, John and Julia Carrion and his sister-in-law Barbara Carrion. Richard is survived by his loving wife, Sue; son Richard Anthony Carrion and his wife Judy of Stevensivlle, MD; son Jonathon Lee Carrion and his wife Nicole of Grasonville, MD; granddaughter Ava Carrion of Grasonville, MD; step daughter Teresa Price and her husband John of San Jose, CA; his brother Allen Carrion and his wife Audrey of Colusa, CA; his niece Jan Carrion and her husband Rick Wilmoth and two nephews Brian and David Carrion plus many cousins, grandnieces, grandnephews and friends.